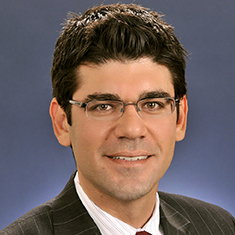 Gregory S. Korman is co-chair of the firm's Los Angeles Litigation group. Greg's nationwide practice focuses on the defense of class action suits for all consumer-facing businesses, and regularly tackles issues arising from state and federal consumer protection laws, including the Truth in Lending Act, Fair Debt Collection Practices Act, Fair Credit Reporting Act, Telephone Consumer Protection Act, Consumers Legal Remedies Act and California's Unfair Competition Law (UCL). Greg's successful defense of banks, credit unions, food manufacturers, national retailers and celebrities in several high-profile consumer fraud class actions has contributed to what Law360 described as his "reputation as one of the leading attorneys in the defense of class action cases involving all types of consumer products for both individuals and large corporations, with a particular focus on consumer financial services." Greg speaks several times a year on panels focusing on cutting-edge class action issues. Greg also litigates select, high-stakes, non-class matters critical to his clients' commercial success, including recently defeating a preliminary injunction seeking to halt a client's $850 million redevelopment project. He has tried cases to verdict in state and federal courts, and his cases have resulted in several published appellate decisions. In addition to co-chairing the Los Angeles Litigation practice, Greg serves on the firm's Associate Compensation Committee and Risk Assessment Committee. Representation of a manufacturer of instant ramen product in a nationwide class action challenging the presence of trans fats. The court dismissed the plaintiff's product labeling and public nuisance claims at the outset, then ordered expedited limited discovery on the issue of Article III standing. After Katten submitted the results of that discovery and conducted further briefing, the court dismissed the case with prejudice. Representation of two of the largest banking institutions in a nationwide class action alleging improper application of minimum credit card payments in violation of the CARD Act. The court dismissed all claims against both defendants based on the legality of the clients' practices in light of guidance from the Federal Reserve Board and the Consumer Financial Protection Bureau. Representation of a large US financial institution in a class action asserting that the client's post-repossession automobile loan notices did not sufficiently disclose fees required to reinstate said loans. The court granted summary judgment on all but one claim, and denied class certification as to the remaining claim. Representation of a professional athlete in a pair of proposed class action lawsuits arising from public disclosure of client's use of performance-enhancing substances. The claims in the first action, brought by consumers of energy supplements for which the client served as spokesperson, were dismissed because the allegations were mere puffery and no reasonable person would be misled by the advertising statements. The claims in the second action, brought by purchasers of the client's autobiographies, were dismissed pursuant to California's Anti-SLAPP statute because the statements in the books, even if false, were protected free speech under the First Amendment.